FORS has released a new tyre management guide to advise members on how best practice can help improve tyre wear, increase vehicle safety and reduce a vehicle’s environmental impact. The new FORS Tyre management guide is available to FORS members online and highlights the positive impact a robust tyre management policy can have not only on fleet safety but also on fuel efficiency whilst helping members manage and improve the environmental impact of each vehicle. 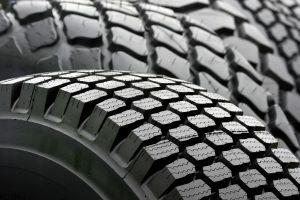 The guide seeks to help the diverse FORS membership base of HGV (heavy goods vehicle), van, passenger carrying vehicle (PCV) and car fleets meet the requirement at FORS Bronze* which stipulates they must have a tyre management policy and supporting procedures in place to help ensure tyres are correctly managed. It includes a range of practical advice to help FORS members build their tyre management policy. Sonia Hayward, FORS Manager, said, “Correctly and accurately managed and maintained tyres make fleets safer and can lead to reduced emissions and real fuel savings for operators. “Over-inflated tyres present a safety issue, as tread contact with the road is decreased, which can affect braking distances and overall handling. Conversely under-inflated tyres contribute towards increases in emissions of carbon dioxide (CO2) and nitrogen oxide (NOx), and for every 10 per cent of decreased tyre pressure, fuel consumption increases by two per cent. Is your FORS Practitioner qualification expiring this year?